We have all grown up and lived with Michael Jackson (1958-2009) who died much too young at 51 and has sold over a billion records to this day. But what I didn’t know was how much he had been portrayed by his contemporaries. 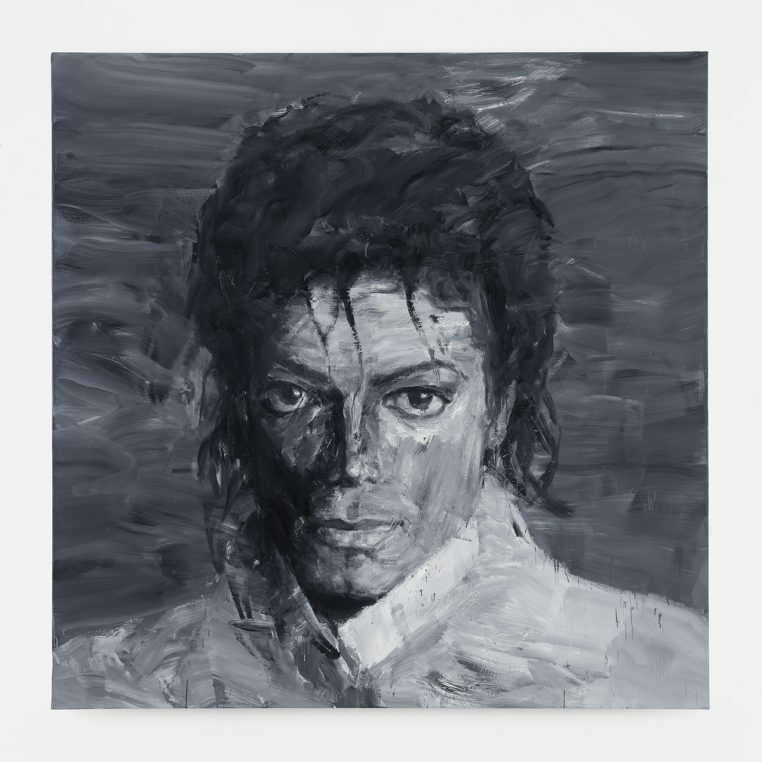 The National Portrait Gallery in London and the Grand Palais have jointly organized an exhibition “Michael Jackson: on the wall”, on the impact of this great musician and dancer on the art world with over forty paintings and photographs. Vanessa Desclaud, the French curator, has added a choreographic dimension. 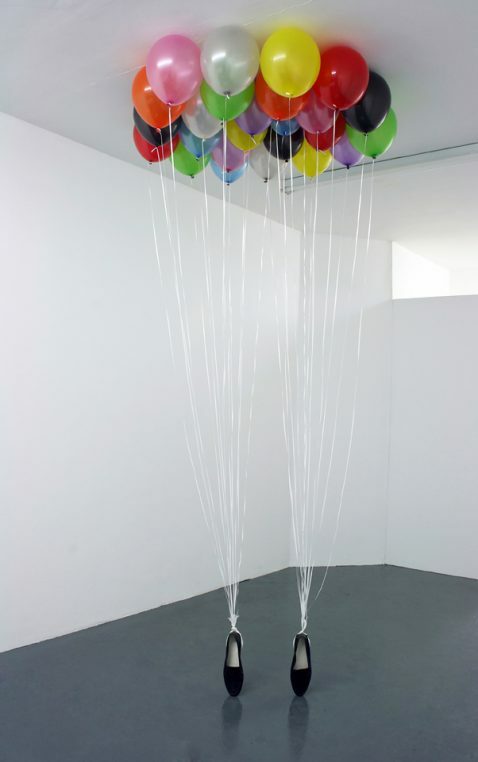 The first room of the show is dedicated to Jackson’s shoes held by balloons in the symbolic position of the dancer standing on his toes, a composition by Appau Junior Boakye-Yiadom. And a video by Raphaëlle Delaunay and Jacques Gamblin is shown, as a celebration of his legendary choreographic art. 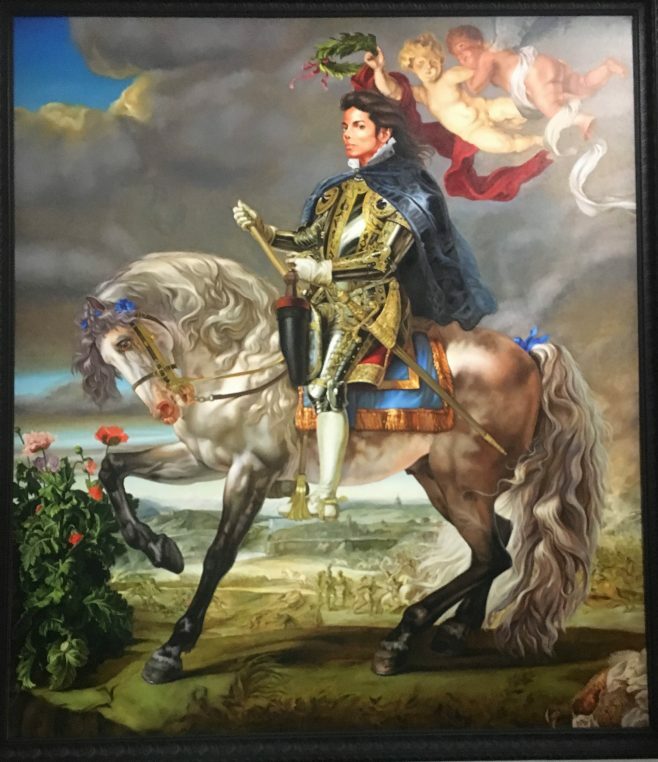 Yan Pei-Ming and Kehinde Wiley both produced posthumous portraits which are extraordinary. But what I preferred in the show was the atmosphere, the music, the videos and the excitement of the visitors all around. Then come his admirers such as Andy Warhol and Mark Flood who celebrated the most sold record in the world, “Thriller”, in 1982. His modest origins in Gary, Indiana are pictured with a photo of his childhood house (with two bedrooms for eight siblings) and the song, “Workin’ Day and Night” which refers to his father’s hard mining work. A wall with twenty drawings shows him at different stages of his youth. 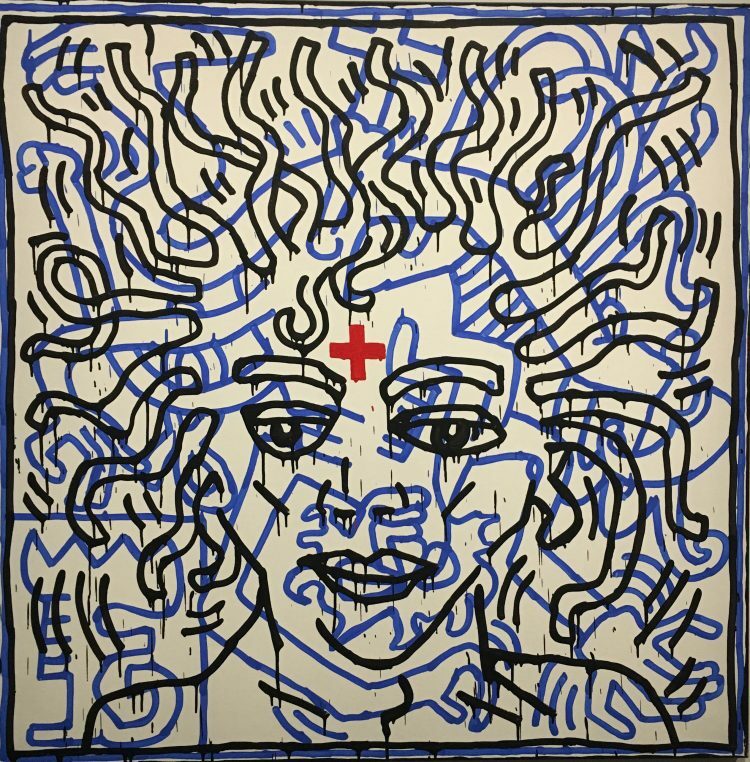 This is the preview for a large room with three David LaChapelle, a Todd Gray and a Mark Ryden portrait. 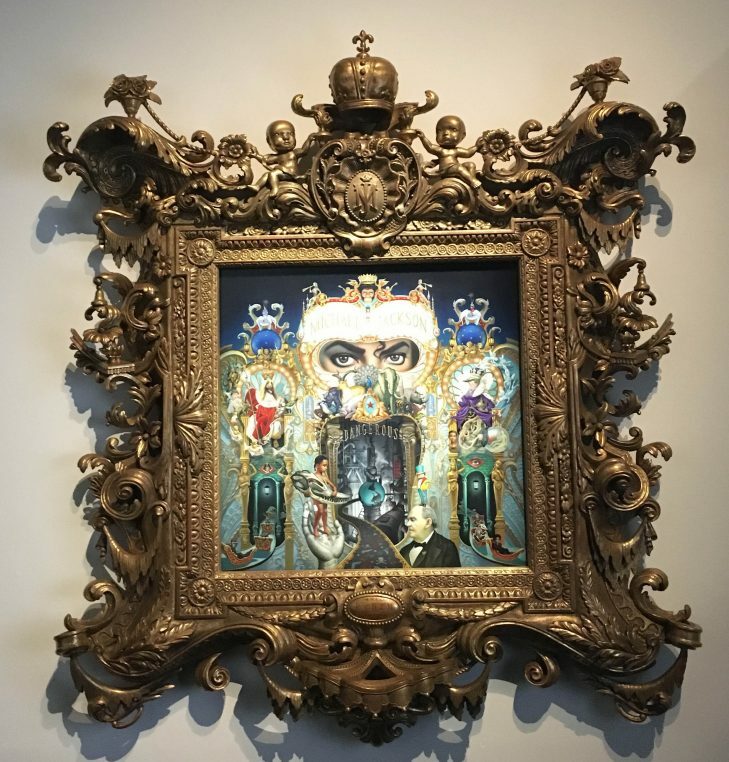 More than just showing a series of artworks, this exhibition renders the atmosphere around this genius of music and dance who disappeared so young. The many recordings, films and magazine covers give a good sense of his “fulgurance”. It is a short but intense moment of pleasure not to be missed even if you are not a Michael Jackson fan. Grand Palais, central entrance, until February 14. In January a cycle of three conferences on Wednesday evenings will treat the topic of Michael Jackson and the Arts. « La Scala Paris, a theatre and a great lunch (and dinner) place!